Donald Virts holds a ripening strawberry in his 5,000-square-foot hydroponic greenhouse near Hillsboro. In his mid-50s, Donald J. Virts Jr. decided to part company with the traditional farming he had known and practiced for years. The lifelong Hillsboro area resident embarked on a new tack—one that would fit with his own views on producing healthy food and also bring in a decent income. The result of that decision can be seen in the 5,000-square-foot hydroponic greenhouse and farm market barn at the junction of Rt. 9 and Purcellville Road. Inside the striking barn, built by Lincoln master timber craftsman and stonemason Allen Cochran, long tables display produce from Virts’ CEA (Controlled-Environment Agriculture) Farm’s greenhouse. The Virts family has been farming in Loudoun since the 1700s. Donald Virts Sr. bought the 350-acre Meadow Hill Farm from radio entertainer Arthur Godfrey in 1972. In 1996, Donald Virts Jr. moved off the farm. “There wasn’t enough income for everyone,” he said. When his father’s health deteriorated, he came back in 2007. At that point, the farm’s income was still unsustainable. “Hail or summer storms can wipe you out in 10 minutes,” he said. Virts said he and his brother, Realtor Dennis Virts, worried about how the family could keep the land open and keep it viable for the family’s future generations. The answer Donald Virts came up with was to grow products that he could market directly, and to produce healthier food and a more sustainable income through hydroponic greenhouse production. He’s not the first to do so in Loudoun. Mary Ellen Taylor, owner of Endless Summer Harvest near Round Hill, produces lettuce greens and herbs that are sold year-round to top restaurants and grocery stores. The hydroponic greenhouse at CEA Farms near Hillsboro. But Virts wanted customers to come to him and avoid what he calls the “pack and haul” business. Over about a three-year period, Virts consulted with County Agricultural Development Officer Kellie Boles on his plans. 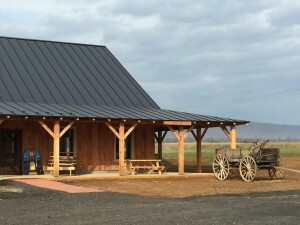 Boles, who persuaded Virts to open during the 2015 Fall Farm Tour, said his year-round production of vegetables and fruits should do well in Loudoun’s very lucrative market. 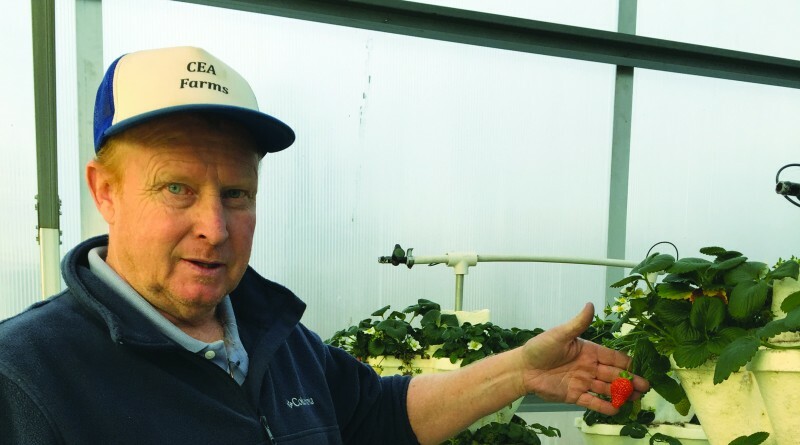 “He has the widest production of fruits and vegetables grown hydroponically year-round in the region—and that gives him a competitive edge,” according to Boles. He’s also focused on perfection of flavor—not perfection of form. Tomatoes, for instance, grow in different sizes and shapes—some are misshapen. “That’s how our grandparents ate,” Virts said. Virts built about 90 percent of his greenhouse himself, in late 2014. He planted his first tomato seed on March 29, 2015. Today, his greenhouse is stocked with tomatoes—some sporting 30-foot vines—peppers, cucumber and lettuce as well as strawberries and shitake mushrooms. The advantage of the environmentally controlled growing space is the greatly reduced chemical input, and absence of bugs. Virts has only had to control aphids once and use a fungicide in December when the unseasonably warm and humid temperatures produced mold. He sprays once a month. Each seed is placed in a soft plug of material that soaks up water from below, fertilized and set in long, stacked rows. 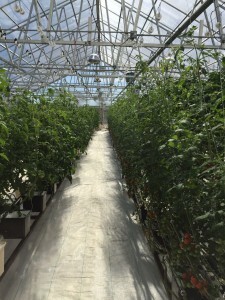 On a recent visit to the greenhouse, tomato, cucumber and pepper vines twined up long strings toward the roof, with lettuce seedlings at various stages of development. He doesn’t think small, and the greenhouse is only part of the family’s farming operation. “My plan, where I want to go, is 375,000 pounds of beef,” he said. His nephew Michael is in charge of the beef and pork operation. Customers can buy a whole steer or individual cuts of beef. Virts has a food truck behind his farm market, where he makes hamburgers, cheeseburgers and sandwiches that customers can eat while overlooking the scenic farm. That’s the first phase. Phase two is to expand into the food business, including new “grow” buildings, which will have large observation areas for visitors, and a restaurant. “I can grow the majority of the food—it makes this viable,” Virts said. He hopes to establish his first restaurant in eastern Loudoun, with more to come along Rt. 7 toward Washington, DC. He plans to begin construction this summer on a new, more environmentally controlled, grow building. “I’m learning, too,” he said. Virts’ eyes gleam as he thinks of another improvement. 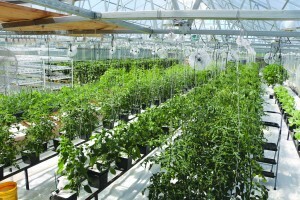 “I’d love to incorporate solar and geothermal to run [the greenhouses],” he said. 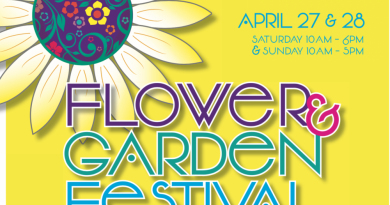 For more information, go to facebook.com/CEAFarms.